Ken Barnard, a fixture of the Chicago comedy scene for the past 8 years, invites YOU to The Penultimate Ken Barnard Experience - his farewell show before relocating to Hollywood. 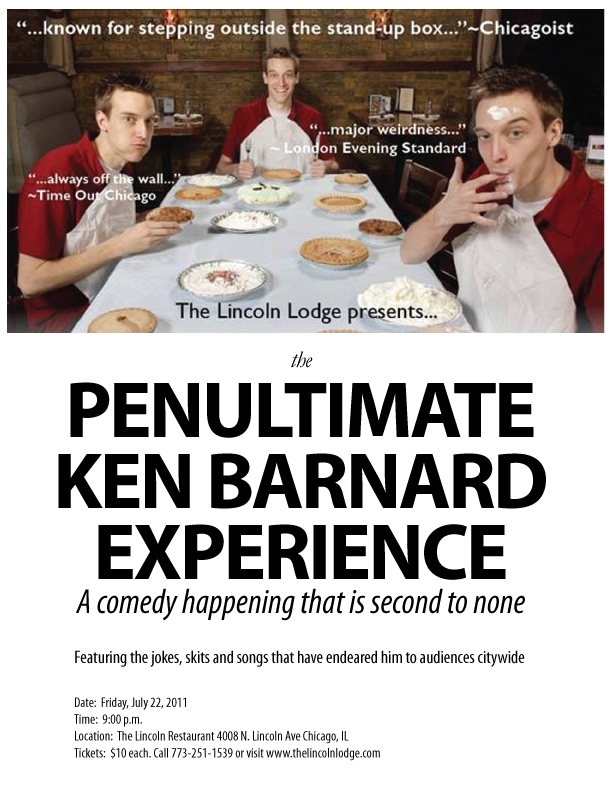 The Penultimate Ken Barnard Experience will feature the jokes, skits and songs that have endeared Ken to audiences citywide. 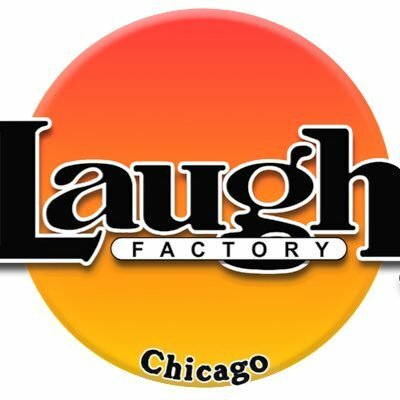 While some comedians celebrate their exodus from Chicago with special final shows, Ken is planning to make his second-to-last show, second to none. 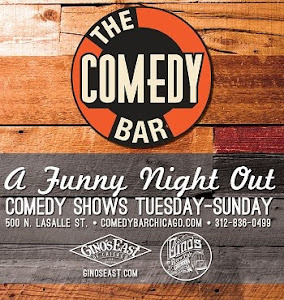 The evening will also showcase some of the city’s finest weirdos with performances from Chad Briggs, Chris Condren and Michael Sanchez. Ken Barnard has been entertaining audiences around the world with his off-kilter comedy for more than 10 years. Most recently, Ken shot a pilot for the comedy game show “Don’t Spit the Water!” with Blewt Productions. 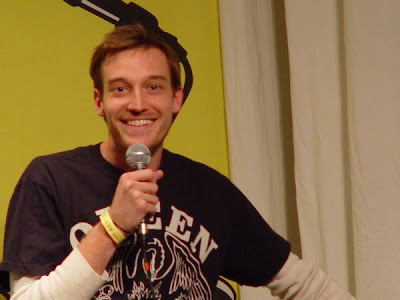 He has also starred in commercials for Empire Carpet and Central DuPage Hospital, and was in the debut episode of Last Comic Standing’s seventh season for several seconds standing in the background.